I was on my way to bed when Samy came to grab my spare set of keys. She was on her way out for a little bit of Vancouver fun! As she dropped off her suitcases and did a ten minute pre-catch up, she left she did two special things for me. Both of which I will never forget. 1. She gave me a piece of herself. She has become a successful artist and she brought a piece of her art for me. A piece of herself really. The woman in the picture is amazing. I asked who she was. She said a little me and a little you. Good tears. I tried to take a picture of her, this beauty, this creation of Samy’s. My camera cannot do it justice so I wont post it here. If it cannot be seen in its true glory, then it wont be seen. 2. I moved into a little bachelor suite over a year ago. To live by the ocean and walking distance from work I gave up a lot of things. Walls without paint chipping, modern appliances, new floors and clean that looks clean. It was worth it to me. I love my suite. It is my haven. My haven by the ocean. My haven with my furry family. I love it. Everything in it feels like home. She got it. The feeling I wanted from my home. 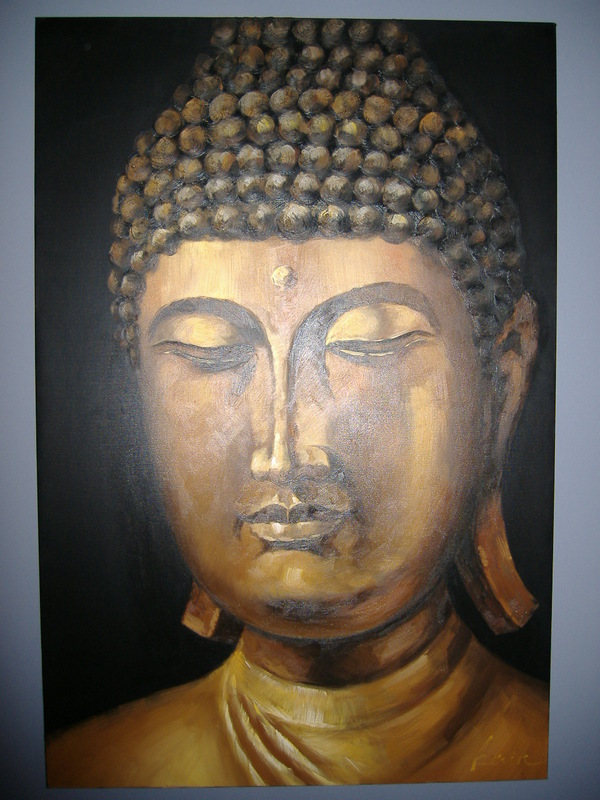 And she got it before she saw the humungous picture of Buddha on my wall! I bought not one but two of these whimsical little mats today. Love them. They make me smile. And dont match with a damned thing! Both of our club teams qualifyed for Nationals. Bed. Sleep. Plane. Back to work. FURRY FAMILY! So far COLD. Arena is warmer than outside! Cute babies, lots of pizza, a late night practice and an early morning practice tomorrow. Someone come hit me over the head so I can fall asleep! !